Diane Sawyer with Chief Justices Ruth Bader Ginsburg and Sandra Day O'Conner. 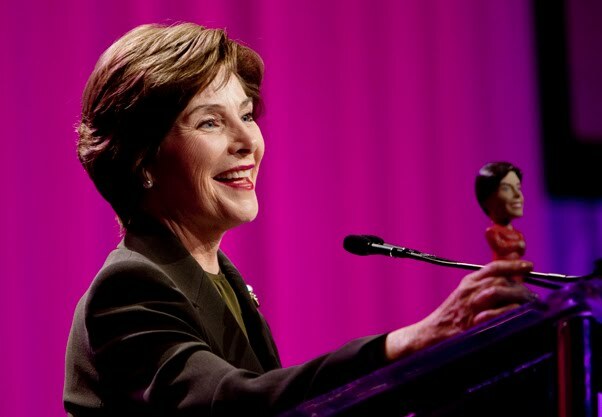 Laura Bush with bobble-head likeness. The Women's Conference held at the Long Beach Convention Center was hosted by California First Lady Maria Shriver and Governor Arnold Schwarzenegger. Plenty of stars and fireworks at today's opening session. 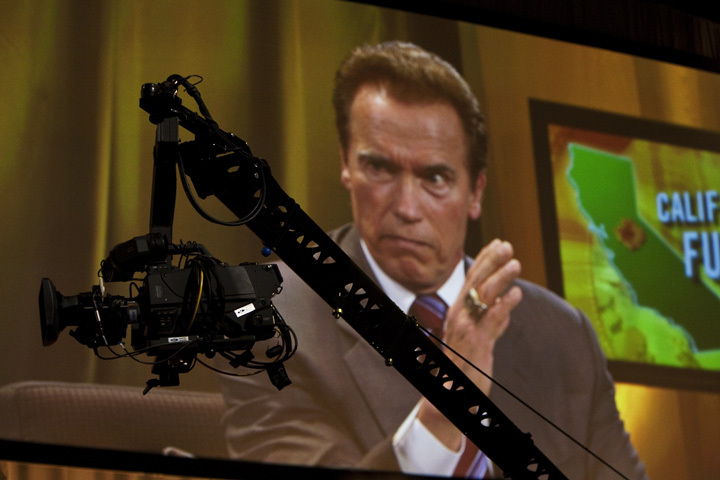 Matt Lauer called on both gubernatorial candidates to pull their negative TV ads form the air. 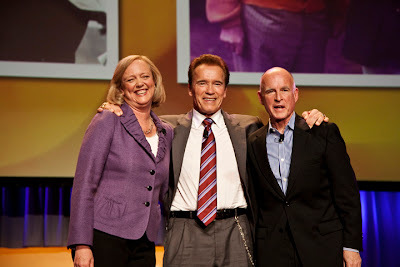 Jerry Brown agreed as long as Meg Whitman would follow suit. 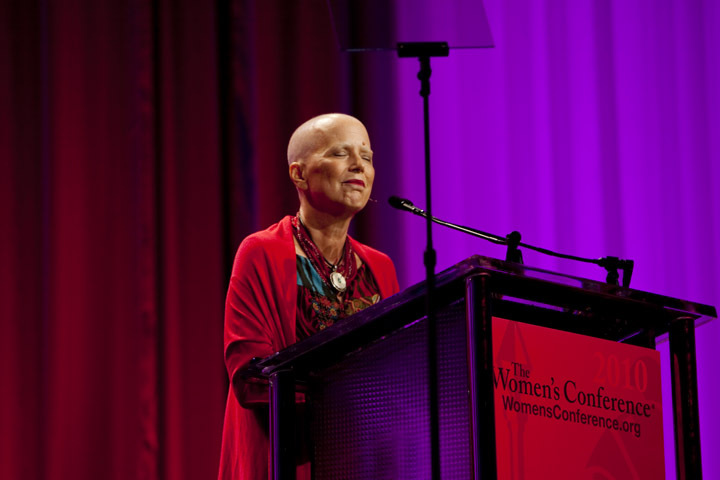 Eve Ensler gave the crowd of 15 thousand a moving reading about her battles with cancer. 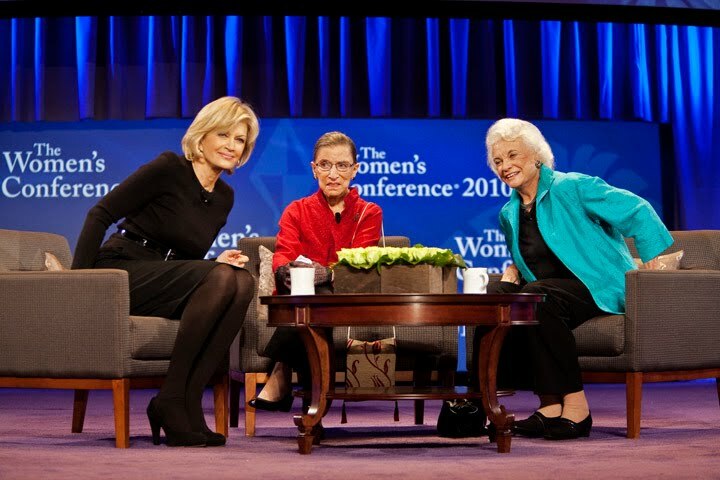 Chief Justices Sandra Day O'Conner and Ruth Bader Ginsburg spoke about their experiences during the their tenures at the Supreme Court.